The ball is back in FirstEnergy’s court after a judge rejected a bankruptcy plan last week from the utility’s generation subsidiary. FirstEnergy Solutions has yet to file a revised bankruptcy plan statement. The company said last week that it intended to refile; a spokesperson for parent company FirstEnergy Corp. said the company was still evaluating the ruling. Bankruptcy Judge Alan Koschik said on April 4 that FirstEnergy Solutions’ plan was “patently unconfirmable.” In other words, it wouldn’t satisfy federal standards for wiping out liabilities described in the plan. Of prime concern were terms that would have excused parent company FirstEnergy from ongoing liability for environmental cleanups at the company’s coal and nuclear power plant sites. Environmental and consumer advocates have sided with government lawyers in opposing FirstEnergy’s gambit to escape future liability and would object to any efforts to get more subsidies from distribution customers for expenses linked to the generation side of the business. Some claims are detailed in the plan. Yet much remains unknown without full engineering studies, noted Howard Learner, president and executive director for the Environmental Law & Policy Center. Moreover, it’s questionable whether the subsidiaries would be able to pay for environmental claims in the future. Current and former coal plant sites will likely present multiple liabilities under federal and state air, water, waste and hazardous substance laws, Learner said. And the nuclear plant sites need to be decommissioned and decontaminated consistent with Nuclear Regulatory Commission requirements. As currently proposed, that process could take up to 60 years. Indeed, FirstEnergy and its predecessors directly owned and operated those plants for most of their history before they were transferred to FirstEnergy Solutions. The Environmental Protection Agency, Nuclear Regulatory Commission and Ohio and Pennsylvania environmental agencies objected even more forcefully. In return for cash and other value, the subsidiaries were trying to use the bankruptcy case to release the parent company and others from extensive liabilities based on their “own independent acts or omissions,” said a March 29 brief filed by the agencies. “This scheme is an abuse of the bankruptcy system,” the brief continues. The longer closure is delayed, the longer it will take before other economic development can move into communities near those plants, Munson added. “That leaves obviously the whole area where these reactors are like Superfund dead zones that can’t be redeveloped for ages,” he said. Learner said FirstEnergy and FirstEnergy Solutions need to propose “a very different sort of reorganization plan” that does not allow FirstEnergy to escape its responsibility for cleanup and decommissioning. “FirstEnergy, in my view, has to be willing to come to the table and be willing to accept some responsibility going forward,” Munson agreed. If so, that will leave the future question of how the parent company would pay for any environmental responsibilities it retains. For the last five years, the company has sought a variety of subsidies using a “whack-a-mole” strategy, Munson said. 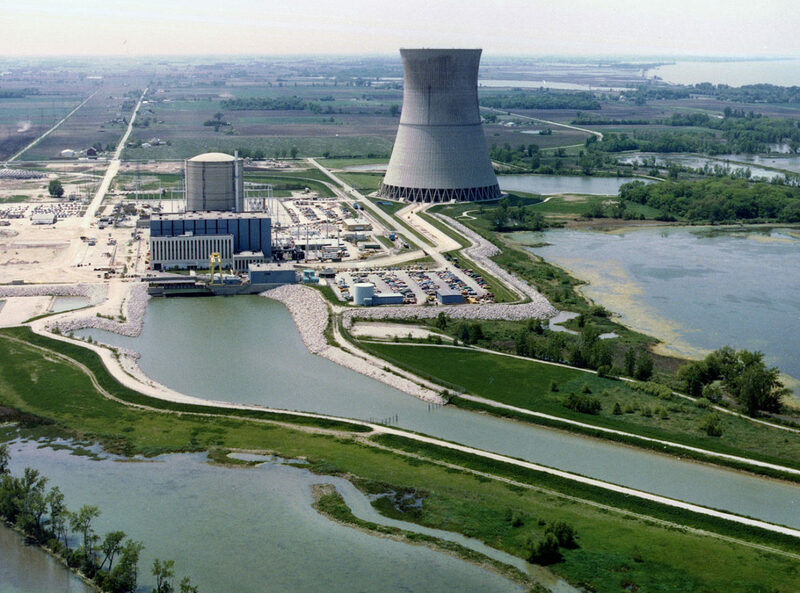 Its latest attempts include lobbying for the draft nuclear plant subsidy bill and asking Ohio regulators to extend a credit support subsidy that is not tied to any distribution services or improvements. That initial rider is currently on appeal before the Ohio Supreme Court. A 2017 decision by that court raises additional concerns. In that case, the court let Duke Energy charge utility ratepayers for hazardous waste cleanup costs at two manufactured gas sites dating back to the 1800s. However, three of Ohio’s seven Supreme Court judges dissented from the decision. Notably, FirstEnergy had filed a brief in that case, arguing that customers should have to pay the charges even while the case was on appeal. In any case, the company’s ongoing efforts to get subsidies through both the Legislature and ratemaking strike a sour chord with environmental and consumer advocates.